Sign up for my newsletter & get instant access to my Resource Library- filled with free party games & more! I like to think of myself as a “Mom with a plan”! And in future posts I will show you the different ways that I plan my goals, my schedule, and my time, and the technology I use to keep it all organized. I will also share my “weekly planning ritual”, where I block out appointments and activities, the dinner menu for each night, house cleaning “chores” to tackle each day, schedule in some time for exercise, and finally plot time for some of what is listed on my endless “to do” list. 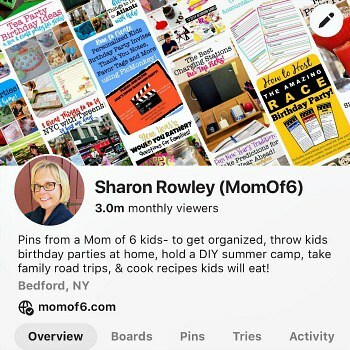 As a Mom of 6 kids ages 18, 17, 15, 15, 13, & 13, I am passionate about helping other busy Moms get organized, host awesome birthday parties, enjoy summers with their kids, and take great family road trips. 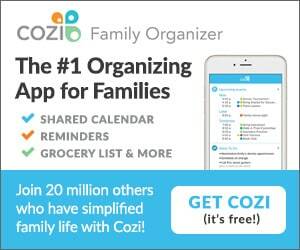 Are you ready to get your life organized? MomOf6 is a participant in the Amazon Services LLC Associates Program, an affiliate advertising program designed to provide a means for this site to earn fees by linking to Amazon.com and affiliated sites. Please note that I only link to products that I truly believe in, and when purchasing an item via an affiliate link, I will make a small commission. 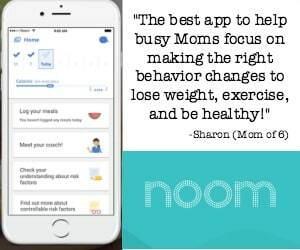 The best tools for busy Moms! 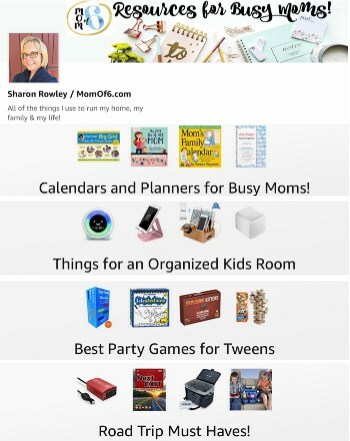 Check out my Amazon Influencer Page to see all of my recommendations for Moms!